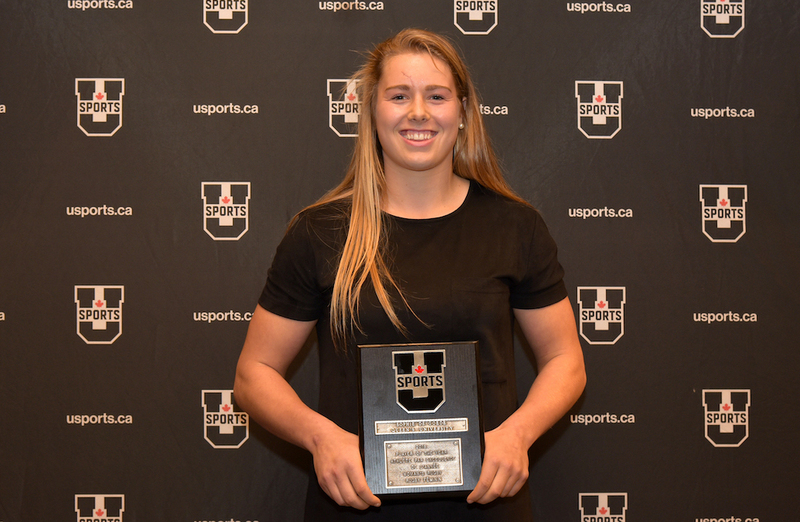 Victoria defender Anna Mollenhauer was honoured as the U SPORTS women’s field hockey Player of the Year Thursday night, as the national award winners were celebrated at the annual All-Canadian gala. Second-year defender Anna Mollenhauer becomes just the seventh Vikes player to be named Player of the Year and first since Ali Lee in 2005. The Canadian junior national team standout was exceptional all season, executing key roles on both offensive and defensive penalty corners. In just her second year of play she was named a co-captain of the team and played every minute of every game this season. Mollenhauer was a stalwart on defence, making key tackles, stopping shots, creating dangerous counter-attacks, and displaying exceptional out-letting skills from the Vikes backfield. Mollenhauer was the only CW player with a 45-yard aerial that allowed the Vikes to consistently clear out of their end, while the Education major's work ethic and leadership on and off the field has made her a valuable teammate this season. 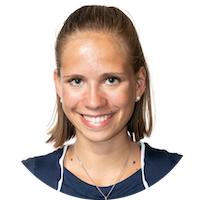 Anna Mollenhauer enjoys playing the game of field hockey, whether it is practicing for hours to perfect simple/complex skills or participating in intense matches. She reads the game extremely well, is a hardworking two-way hockey player, and always finds a way to make her teammates look good - by giving them the perfect pass at the perfect pace or covering up for a teammate who may have lost her check. Anna has been such a joy to coach! 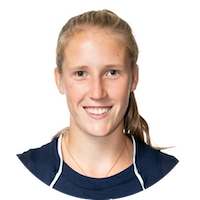 First-year Victoria midfielder Anne-Sophie Hannes was a key addition to the Vikes lineup in 2018. 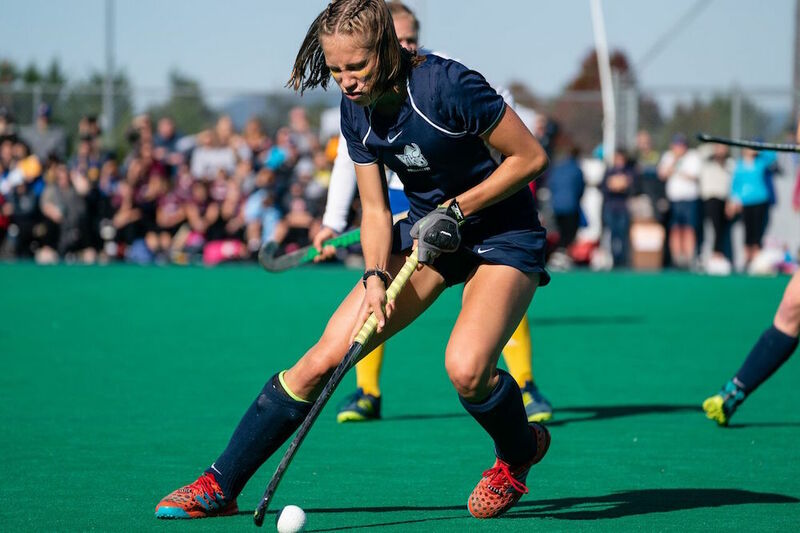 An exchange student from Germany, a country well-known for its success in international hockey and competitive club structure, Hannes' international experience was evident right from her first game. Despite not getting on the scoreboard, Hannes was a regular starter in all eight games and showed her versatility both on the outside and in central midfield. Hannes' technical skills were superior, often maintaining possession or trapping difficult passes under incredible pressure, while her ability to turn on attack at speed made her an unpredictable part of the Vikes offence. Defensively, Hannes was the loudest player on the field despite English being her second language. Anso Hannes came from Germany to UVic to do a four month exchange in the Faculty of Business and play field hockey. We didn’t know anything about Anso, and she didn’t know anything about the Vikes women’s field hockey team. However, from her first day of practice, we knew she would be a great addition to the Vikes. She is humble, hardworking and loves to chat, on and off the field, making her a favourite amongst her teammates. 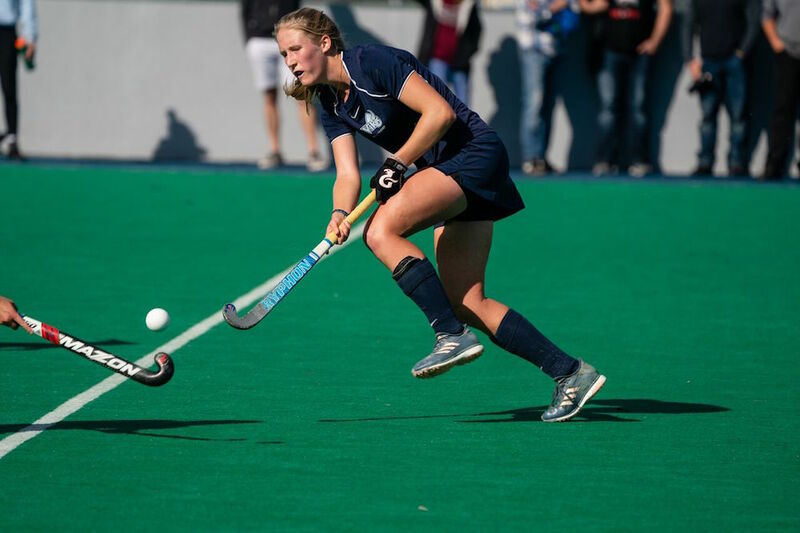 We feel very fortunate that she made the choice to attend UVic and play for the Vikes women’s field hockey team. We trust she is happy with her choice, too! Like her fellow award-winners, fourth-year striker Katherine MacMillan (Kitchener, Ont.) has made her mark on the field, but her contributions have also extended beyond that. Her many exceptional qualities have helped make her this year’s Gail Wilson Award winner. After missing all of last season with an injury, MacMillan returned to the Gryphons lineup in style. 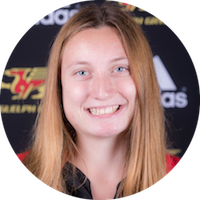 She started every game, ignited Guelph’s attack, and provided more than 30 per cent of the team’s goals, while assisting on many more. Her skill on the field has helped her also be a voice in the sport, giving back to the community as a coach of the Cobras club program. She also joined the coaching ranks in the provincial system as an assistant coach of the U15 Ontario West girls, who captured the silver medal at the national championships. MacMillan has also been involved in several charitable initiatives, which include: Big Brothers/Big Sisters Bowl-A-Thon; Cut for the Cure, the Gryphons field hockey team’s annual fundraiser which has contributed over $25,000 to cancer research and hair for wigs; as well as Gryphon field hockey’s mental health awareness and Think Pink awareness games. 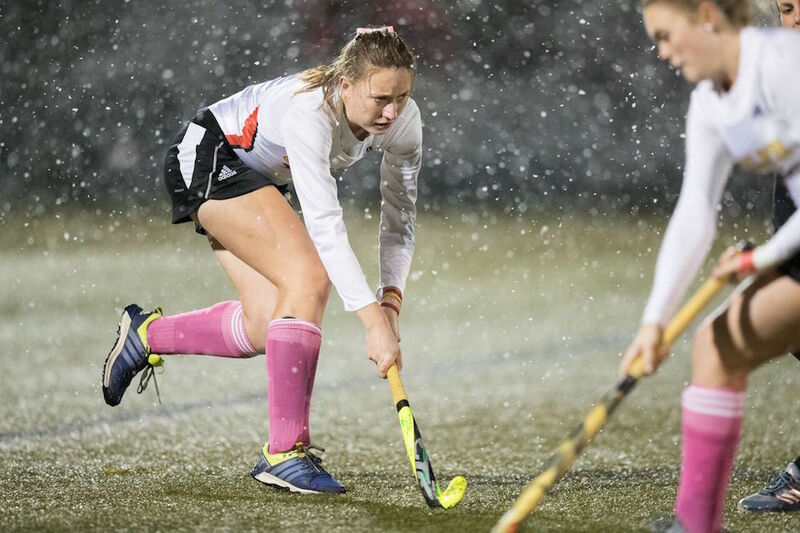 Overall, her dedication to the community, her work ethic at school, and her passion for the sport have made MacMillan a deserving recipient of this year’s award. Katherine is an elite athlete as well as a special individual, who gives back to the sport she is so passionate about. She thoroughly enjoys coaching young girls to help them strive to be the best they can be and has a great way about her which makes learning and playing hockey fun. She connects with the players. She's passionate, empathetic and has integrity. Coaching and teaching is her calling. What an incredible young woman. 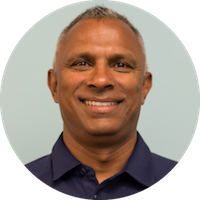 In just his second season as Toronto bench boss, Cassius Mendonça helped the squad to one of the best records in the country, and as a result, has been named the 2018 U SPORTS Coach of the Year. Under his guidance, the Blues allowed a mere nine goals against in 12 games played. 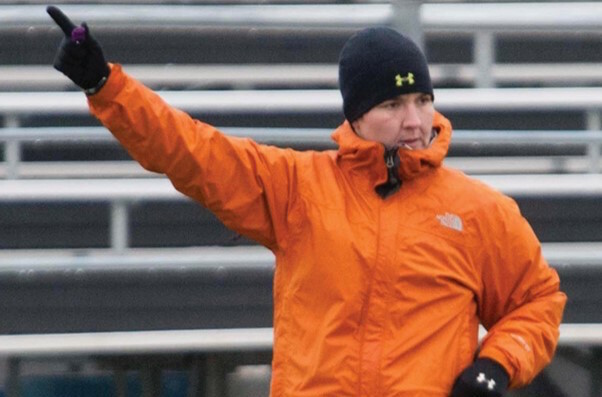 His emphasis on video analysis helps U of T maintain a top reputation in the OUA, as they finished the season in second place with a 10-1-1 record. Mendonça went onto guide the Blues to a bronze-medal finish at the OUA championship. Cass is passionate about the game of field hockey so it is not surprising that he is being recognized for his abilities and dedication. 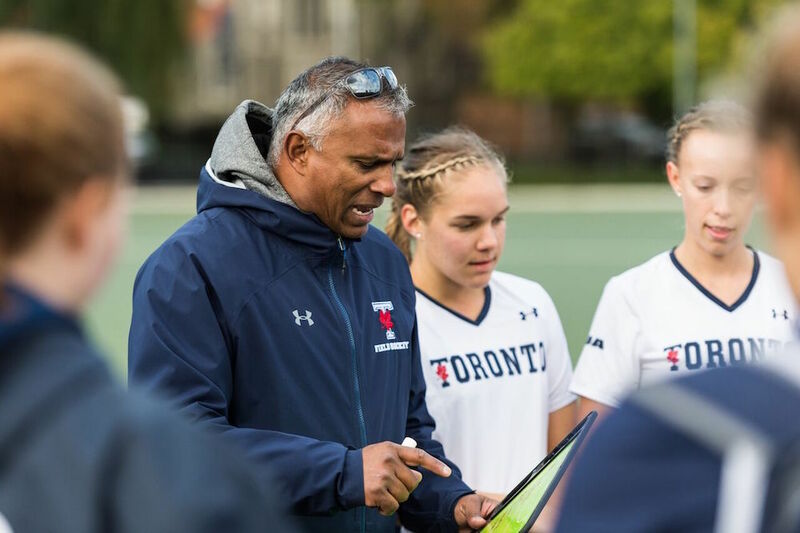 In his first two seasons at the helm, Cass has upheld a strong tradition of field hockey at U of T and I know our student-athletes enjoy working under his leadership. Pelletier started umpiring with the Waterloo Women’s Field Hockey Club 12 years ago. For two seasons, she officiated at the high school level and was selected to umpire at the OFSAA championships. She then made the jump to umpiring in the OUA and, over the past 10 campaigns, has become one of the top umpires in the league. In just her second season umpiring at the university level, in 2009, Pelletier was selected to work at the OUA championships and has since been chosen numerous times to umpire at the OUA and U SPORTS tournaments. She is a FIH-rated umpire and is quickly rising to be one of the top game officials in Canada. Pelletier also won the award in 2011, 2012, 2014 and 2015 and 2017.